Somehow I am suddenly in the United Kingdom! Strange how you suddenly find yourself in a different country. Well not really but it’s always a bizarre feeling. Just as I was getting used to Russia. 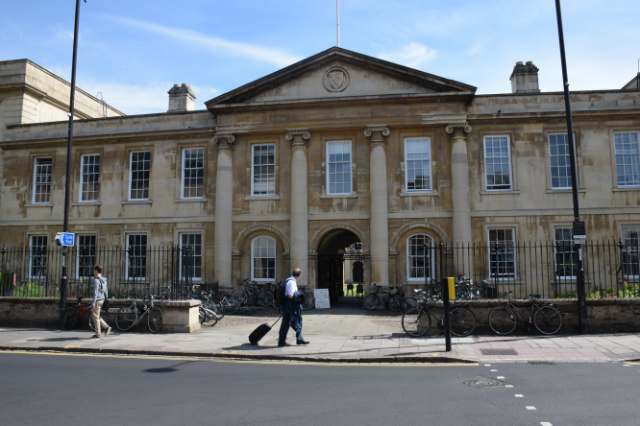 I’m AirBnB-ing it in London, but today I’ve taken a trip north to Cambridge, which is an incredibly beautiful town on the river Cam filled wth colleges in ancient buildings, people taking punting tours, bicycles and also was the location for the filming of the 1979 incomplete Doctor Who story, ‘Shada’. I started my day thusly visiting Emmanual College, which was the principle location for filming on this tale. 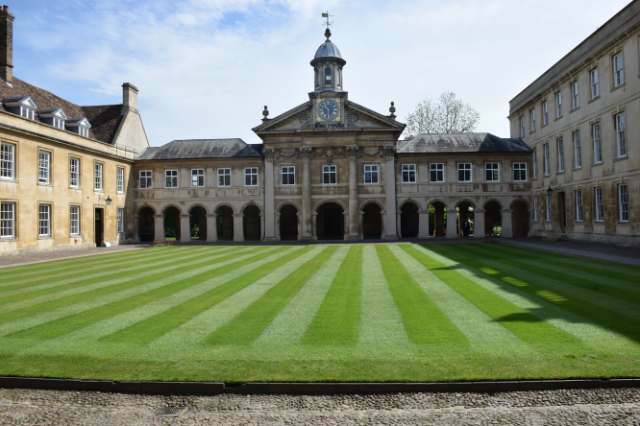 It has a beautiful chapel and arched passageways not to mention the most perfect grass in the courtyard. I was struck by Mondayitis in as much as the Fitzwilliam Museum was shut as so many museums are on Mondays. So I crossed the river Cam and saw the punts going back and forth. 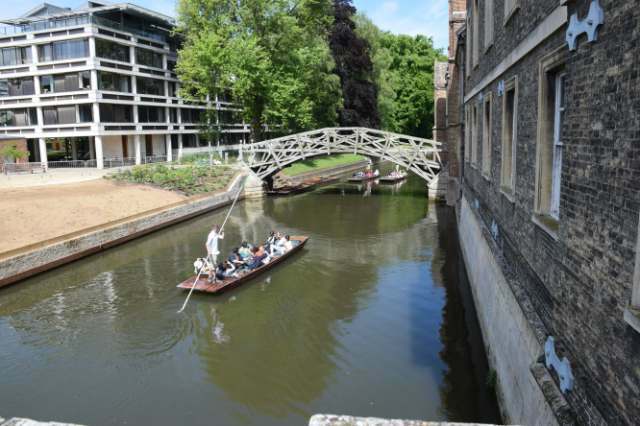 It was so green and beautiful today, the sun was shining it was a perfect day for a visit to Cambridge. 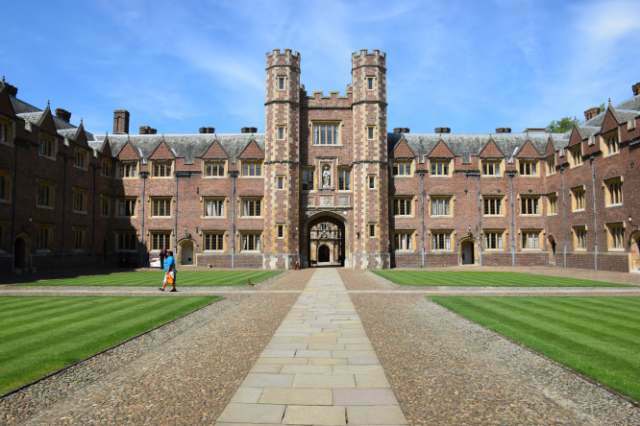 I took the back entrance to the huge and stunning St John’s College. The buildings are huge and gothic. 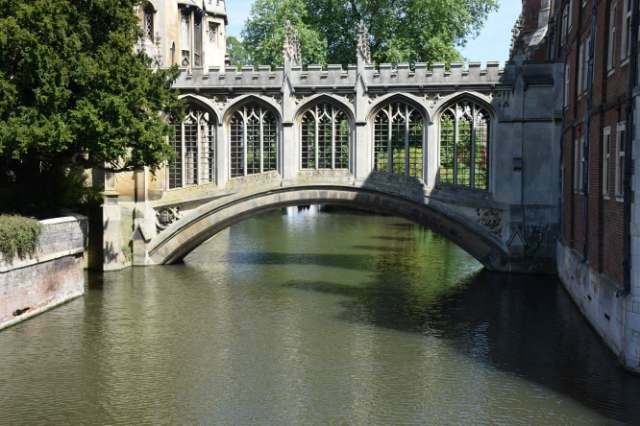 The Bridge of Sighs is the most famous bridge in town, a covered bridge in St John’s College. Douglas Adams, who wrote ‘The Hitchhikers Guide to the Galaxy ‘ not to forget the aforementioned ‘Shada’ was an alumni here. 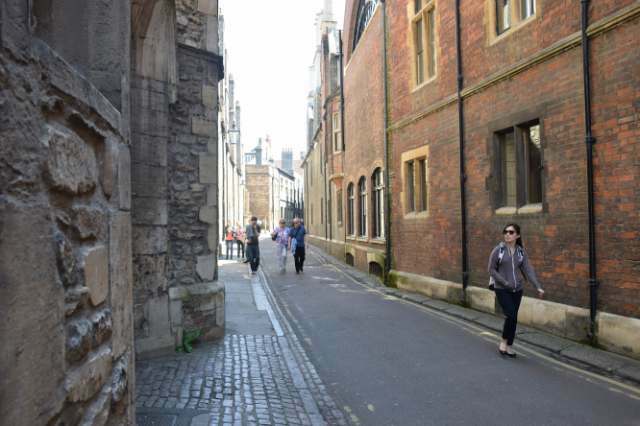 Next door is Trinity College. 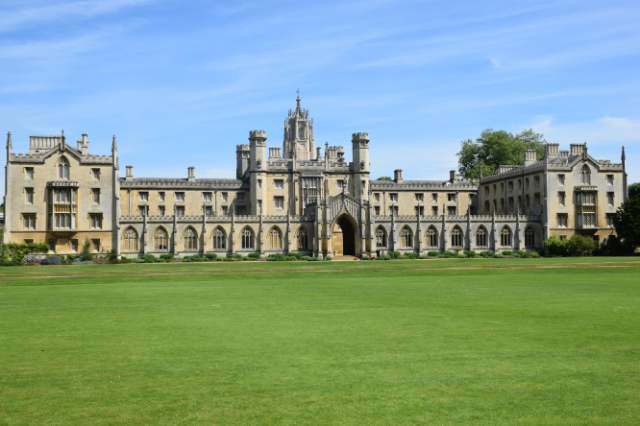 Another beautiful college with stunning architecture and perfect lawns. It has such famous alumni as Lord Tennyson. 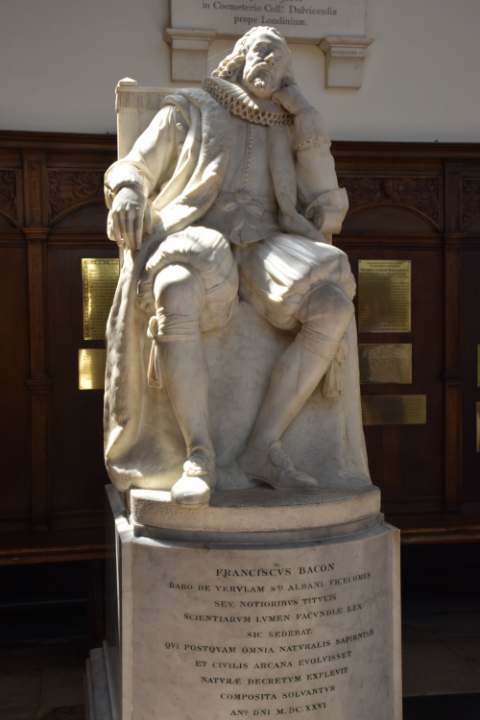 And should I mention a certain Sir Isaac Newton? 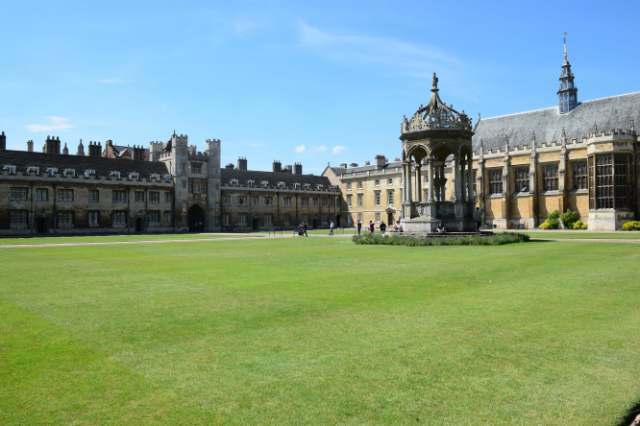 The Wren Library is a highlight of the college. Sadly, photos not allowed inside, where there is a translated gospel from the 8th century, in incredibly good condition. But it’s not individual sights that amaze here, but the town itself, fullon history, learning and beauty. It took just over an hour by train from London and it’s the perfect day trip! May the Journey Never End! Previous Moscow, City of Wow! Wow you travel a lot!!! this is true… but maybe not so much in the next year or so. Indeed it is! And it was a gloriously beautiful day! Thanks for reading! It looks delightful! I’ve never been a huge fan of the UK, actually, but this looks lovely. really? Oh I LOVE the UK. It all started with Doctor Who to be honest… it will probably end with Doctor Who too! lol. yeah ok that makes no sense!